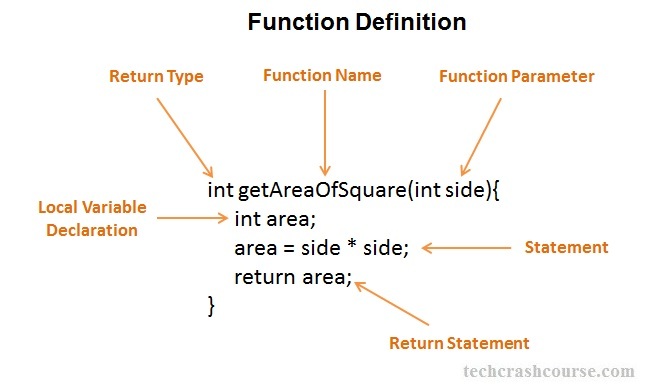 A function definition in C programming language consists of function name, function parameters, return value and function's body. function_name : This is a C identifies representing the name of the function. Every function must have a unique name in a C program. Name of a function is used to call a function. Above program finds the area of square using getAreaOfSquare function.